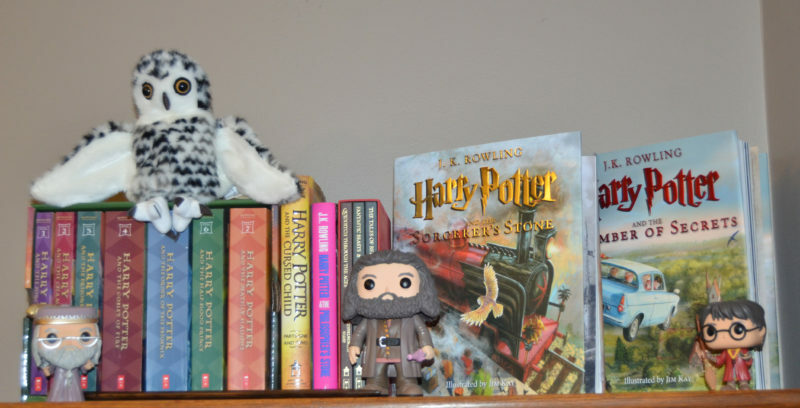 How do you feel about special editions of books? 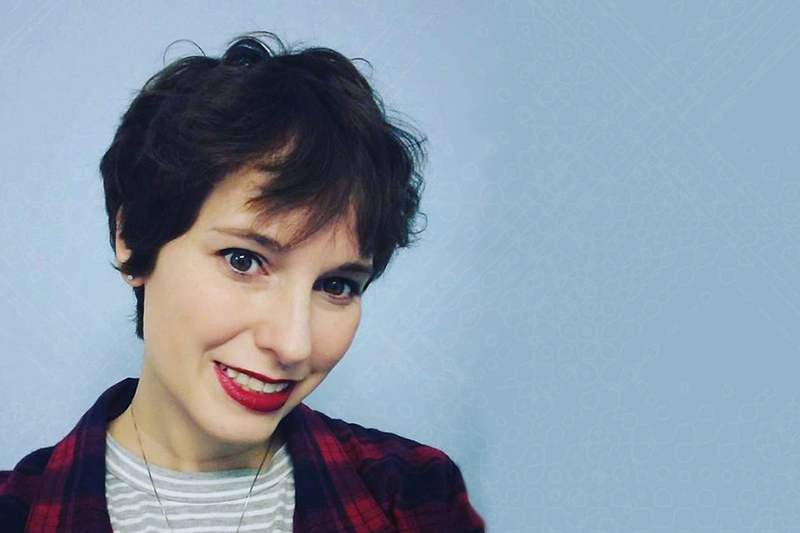 Special editions of novels are the bane of my existence – or, at least my pocketbook. I mean, I love them, and I have the means to buy them, which is how I end up with so many different versions of the same novel. Fortunately there are only a few books that leave me wanting multiple editions. 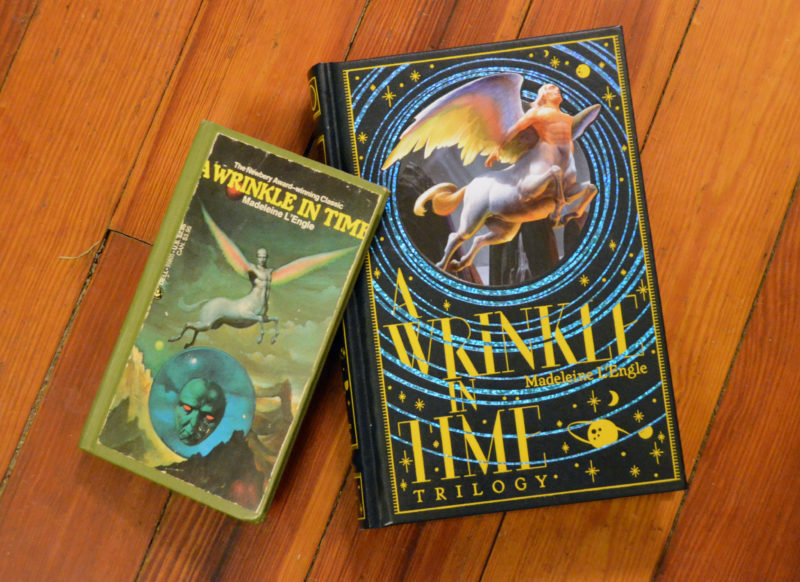 My multiple copies of A Wrinkle in Time are somewhat logical, as one is a copy I have had since middle school, and the other is a Barnes and Noble Collectible Edition, which contains the whole quintet. Neither of those editions are available anymore, but you can still get the lovely 50th anniversary edition of both the first novel and the quintet. I have two copies of Alice in Wonderland for roughly the same reason. I originally purchased the B&N Children’s Classic (purple copy), which contains Alice in Wonderland and Alice Through the Looking Glass. 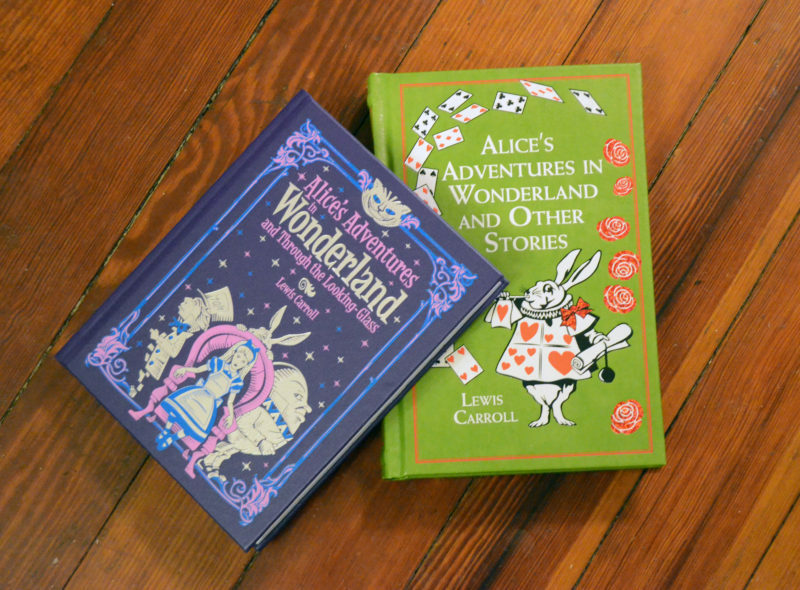 Afterward, I came upon Alice in Wonderland and Other Stories (the green copy), which contains Through the Looking Glass, as well as several other stories by Carroll. Concerning The Wind in the Willows, I have no excuse for having so many copies, except that it is by far my favorite children’s novel. I no longer have the original copy I owned. It has long since gone to the library in the sky. When I first replaced it, I replaced it with a cheap trade paperback that I came across at a second-hand shop. It’s the copy that I usually grab when I want to re-read the book, which I do about once a year. I have another paperback copy, which I keep as a backup, should I drop the other in the tub, or loose it somewhere. Then I have 2 hardcover editions. The new teal green B&N Children’s Classic edition, and the older blue edition (which you can still find on ebay if you are interested). 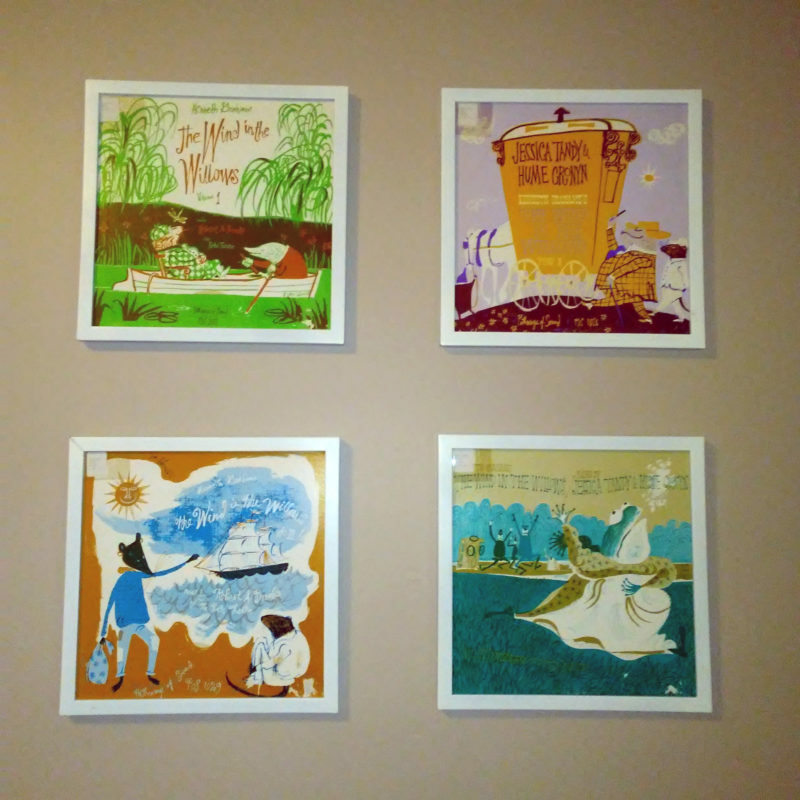 And, then I have an audio edition of the book in vinyl format – the sleeves of which are currently displayed on the wall in Mildred’s room. Don’t worry though, I made sure to pull the records out so that we can listen to them when she gets a bit bigger. I should really think about putting a shelf up near them to display my copies of the book, and maybe some other cool Wind and the Willows stuff, if I can ever afford it. I would eventually like to add to my collection the Puffin Classics edition, and a set of the vintage pop-up books, as well as The Wind in the Willows Short Stories, which is a collection of short stories based on Grahame’s original novel and compiled by the Kenneth Grahame Society. American Gods and it’s sequel Anansi Boys is another set of books I may have a bit of a problem with. Neil Gaiman’s American Gods is probably my favorite novel. I first picked up a copy of American Gods in college, long before the sequel (which isn’t really a sequel) was written. 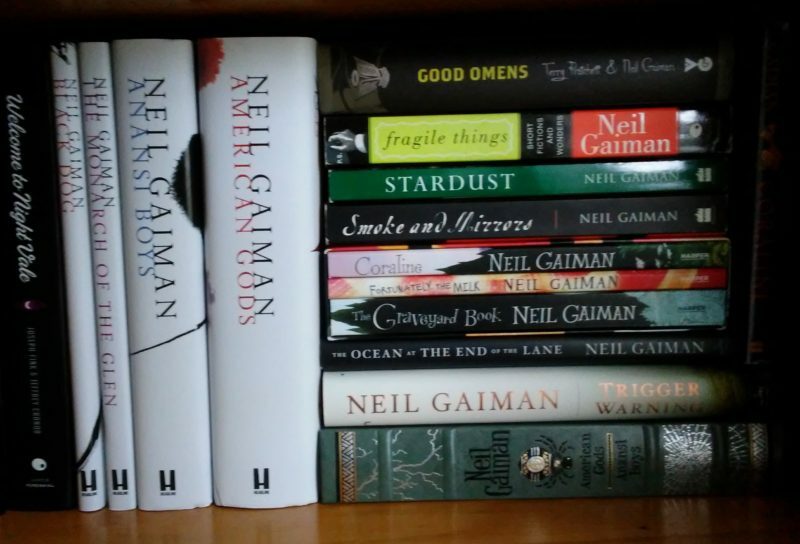 It was the start of a love affair with Gaiman’s work, which has lead to a large section of my bookshelves housing his work. Due to their battered state, I replaced my trade paperback editions for B&N’s original Collectible Edition of American Gods and Anansi Boys. There is now a new one, which I’m sure was released to coincide with the release of the TV adaptation of American Gods on Stars. I’d like to pick up a copy of it as well, but I’d have to find room for it- something with is severely lacking in my bookcase right now. I’m sure having multiple copies of so many novels is the biggest part of this problem, especially since I recently added illustrated editions of both American Gods and Anansi Boys as well as the novellas Black Dog and The Monarch of the Glen which are set in the same universe. They were my birthday present to myself. 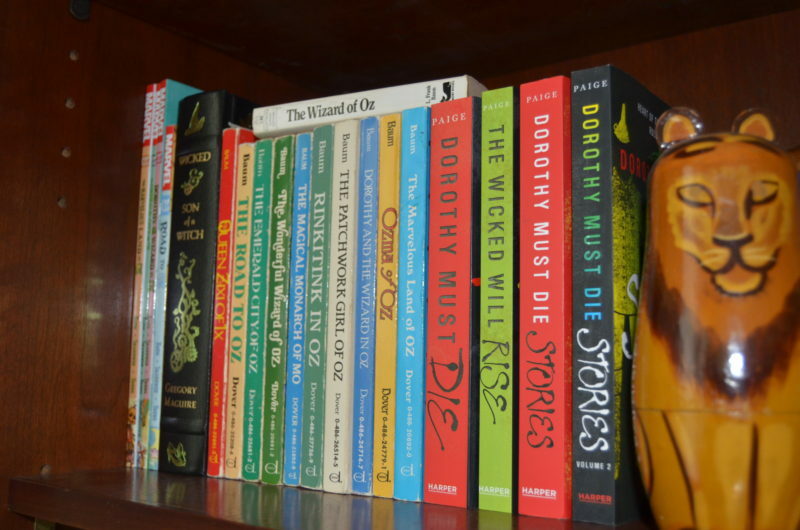 Books featuring The Wizard of Oz also take up quite a bit of space on my shelves. There are some old Dover Thrift editions I’ve had since middle school, along with the graphic novel editions that came out a few years ago, and a selection of works that are based on the original novels, including Gregory Maguire’s Wicked and Danielle Paige’s Dorothy Must Die series. Harry Potter is another favorite around here. My display of Harry Potter books actually takes up the entire top of my bookcase. I have a paperback boxed set, along with a copy of Cursed Child, and the original Hogwarts Classics Box Set, plus a hardback with the woodcut cover of Philosopher’s Stone, and the illustrated editions of Sorcerer’s Stone and Chamber of Secrets. I fully intend to add each new illustrated edition as they come out, both because they are beautiful, and because I think they will be great for reading to Millie as she gets older. I also need to add a copy of the Fantastic Beasts screenplay, and I would eventually like to have a full set with the woodcut covers. Of course, with this year being the 20th anniversary of the publication of Harry Potter and the Philosopher’s Stone, Bloomsbury Publishing is releasing special Hogwarts’ House editions of the book. I can’t decide if I just want one in my house colors, or if I should get all four (Gryffindor, Hufflepuff, Slytherin, Ravenclaw). Needless to say, my husband doesn’t think I need any of them. So, super long story short, I really like special editions. How do you feel about them? I’ve never been able to afford special editions. As a kid it was paperbacks or library books. As an adult, second-hand was all I could afford in English. The only real special edition I have is “that book”–the huge, heavy French hardback I ordered last year about this time (and for which you are indirectly responsible, tee hee! Well if not you, at least your blog posts!) And even that was second hand, though the book felt and looked new. Do I wish I could afford them? Sure! But for now (and probably forever), I’ll have to settle for “the words”, whether that mean second hand, ebook or whatever. It’s the words that really matter. And I’ll probably have to take that into consideration more often as most of my spare money is now going toward things for Milli. She’s expensive. I am a book reader, not a collector. But I love the heft of a hardback in my hands–the smell of the paper–and illustrations. I support my local library. Libraries are the best! I have been getting a lot of use out of mine listening to audiobooks lately. With the new baby it’s been just about the only way I can “read” since it’s hard to bottle feed a baby and read a physical book at the same time. I just find that I tend to live by David Quammen’s quote, “A good book, resting unopened in its slot on a shelf, full of majestic potentiality, is the most comforting sort of intellectual wallpaper.” Of course, the first part of that quote is about buying more books that you can ever hope to read in one lifetime…. But I usually leave that part off. I hope to read all the books. A book about books, which I am in the process of sipping.